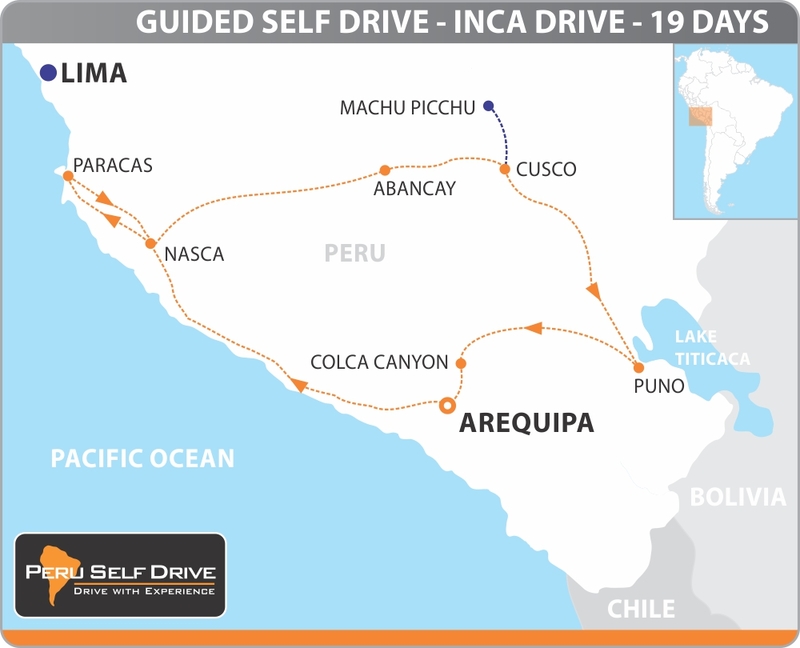 A totally new concept in the Peruvian tourism industry: A guided self drive group tour in 4x4's. You will drive your own rental car, with your own party, at your own pace. A professional multi-lingual guide drives his own 4x4 as part of the group. Of course, this tour visits Machu Picchu, but there is so much more than this world famous "7 Wonders" site. How about the Nasca Lines, Lake Titicaca, Condors, and much, much more. Your tour guide will bring you to lots of interesting sites. But let's not forget that the driving in Perú is in one word: SPECTACULAR !!! World famous "Walking City Tour in Cusco, Powered by PeruMotors"
World Famous "Walking City Tour in Cusco, Powered by PeruMotors": Free of charge ! Upon your arrival at the international airport 'Jorge Chavez' your tour guide will pick you up and bring you to the your hotel in the tourist friendly neighborhood of Miraflores. The rest of the day is at leisure. The next morning the guide will take you on a Lima City Tour. In the morning the guide brings you back to the Lima airport for our 1,5 hour flight to the beautiful colonial city in southern Perú. Because this is our hometown, we will organize our 'Welcome Dinner' here in one of the best restaurants in town. During dinner your guide will brief you about the upcoming tour. Early in the morning the cars are delivered at the hotel. After the paperwork and other formalities it is finally time to rev up the engine. To get out of the city is the first challenge. Then in about 50 kilometers we reach the PanAmerican Highway and follow it northbound. In about 140 kilometers we reach the Pacific coast and follow the coast all the way to Puerto Inka. Here we stay in a quite basic hotel, but on a very unique location on a natural bay. Next to the hotel are Inca ruins. Your guide will take you for a walk around the ruins. Back on the PanAmerican Northbound, through the driest desert on earth, passing the cities of Nasca and Ica. Later during the tour we will visit these places. In the afternoon we arrive in the little fishing village Paracas. First thing in the morning we go to the local docks for a boat ride to the 'Poor-man's-Galapagos-Islands'. In about 2,5 hours you wil see hundreds of sea lions, millions of sea birds and even Humboldt penguins! Back on dry land we go to the Paracas National Reserve, and we'll have lunch at the lagoon. After lunch we drive to the most beautiful oasis in the Americas: Huacachina. Here you'll have the possibility to do the (optional) very spectacular dune buggy tour into the sunset. We leave the most romantic place in South America behind, and we're on our way back to Nasca. Along the road we can visit the Maria Reiche Museum and/or the observation tower on the world famous pampa. In the afternoon the optional flight over the Nasca Lines is on the program. The next day is for visiting the other interesting (Inca) sites in the direct surroundings of Nasca. Or just to relax by the pool. Your guide will discuss the possibilities. Just outside of Nasca the mighty Andes brings us to an altitude of more than 4.200 meter. Here you will meet the cameloids of the Andes: lamas, alpacas and vicuñas. We are driving on one of the most spectacular roads in South America. This is a 'Dragon Tail' of hundreds of kilometers, with a thousand hairpins. We'll have lunch in the tourist-less town of Puquio. And then even higher over the Andes to Chalhuanca. Just outside this town we stay in a very nice hotel, in a beautiful setting. Again a fantastic driving day through the high Andes. Hairpins, uphill, downhill wil be your part. In the afternoon we arrive in one of the most beautiful cities of South America: Cusco, the ancient capital of the Inca's. 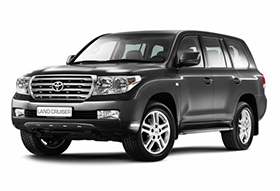 The next morning is for the optional "World Famous Walking City Tour of Cusco, Powered by PeruMotors". The rest of the day is for you to explore this interesting city. From Cusco we ride into the "Sacred Valley of the Inca's". There are 2 routes possible. Your guide wil inform you about the possibilities. Both routes have a variety of Inca ruins. Some well-known, some unknown, but all very interesting. The day ends in Ollantatytambo. 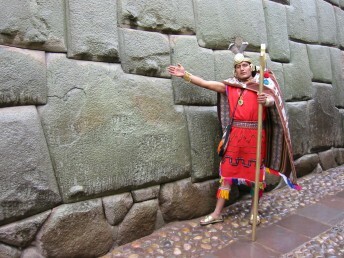 An authentic Inca town, famous for its huge fortress. A long driving day, so we start early. Beyond the highest point of today (La Raya Pass, 4.313 meter) we enter the biggest high plains in the world: Altiplano. Crossing the town of Juliaca is always chaotic and quite an experience. We end up in the town on the shores of Lake Titicaca: Puno. The next day is for the optional boat cruise on the highest navigable lake on earth. You can choose for a half day or whole day cruise. Or you can visit some archeological sites. Your guide will inform you about the possibilities. We'll have to cross the high Andes again, now eastbound. We are on our way to the deepest canyon in the world: Colca Canyon. After lunch we reach the highest point of the whole tour on 4,910 meter (16,110 feet). Here you can see at least seven volcanos. Then the descend to the little town of Chivay. Early in the morning we must be on our way to the 'Cruz del Condor'. This is one of the best places to see the Andean Condor in flight. Then back on the road to the place where this tour started: Arequipa. Upon arrival we surrender the trucks and in the evening we'll have a 'Farewell Dinner' in one the best restaurants in town. 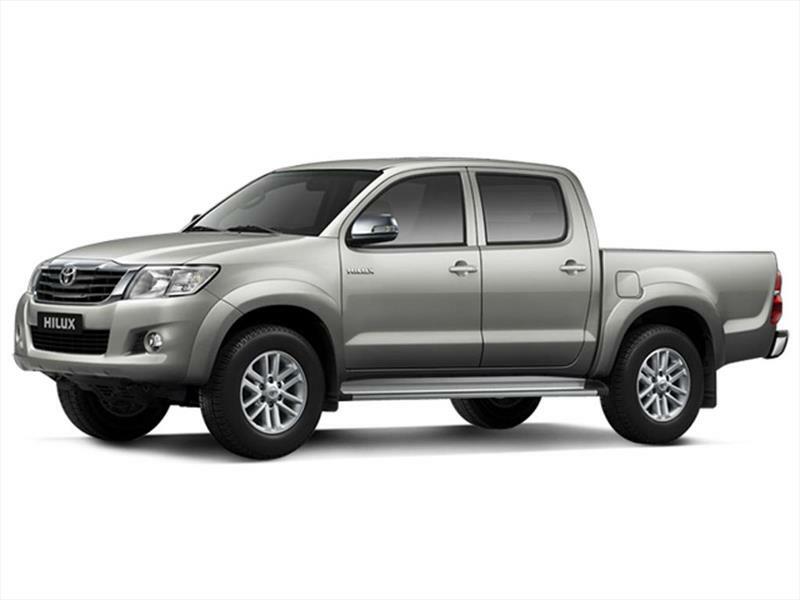 Time to say goodbye to your rental car, your travel companions, your tour guide and the city of Arequipa. The transfer to the airport is arranged for you. First you fly back to Lima for your connection with your international flight home.